One thousand years after cataclysmic events forced humanity’s flight from Earth, Nova Prime has become mankind’s new home. 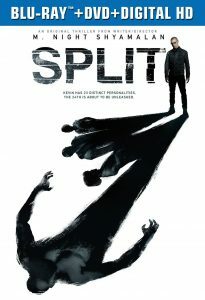 Legendary soldier Cypher Raige (Will Smith) returns to his estranged family, ready to be a father to his thirteen year old son Kitai (Jaden Smith). White travelling to a nearby planet, an asteroid storm damages Cypher and Kitai’s ship, and they crash land in an inhospitable Earth. Published on March 14, 2013, from author Robert Greenberger and publisher Insight Editions LLC, this immersive in-universe book that takes readers inside the world of After Earth. 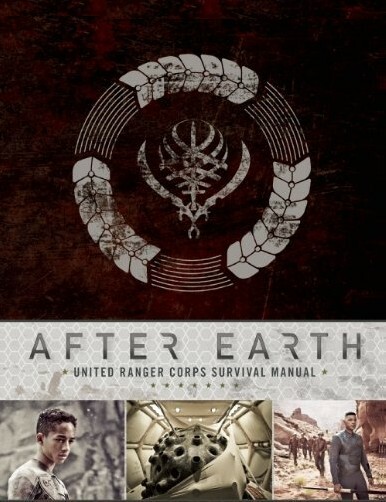 Featuring stunning artwork from the movie, along with unit photography and other eye catching visuals, the United Ranger corps Survival Manual is the ultimate in-universe guide to After Earth, the thrilling new movie from director M.Night Shyamalan, starring Jaden Smith and Will Smith. Hit the jump to check out the cover and click here to order your copy today. After Earth hits theaters and IMAX on June 7, 2013. 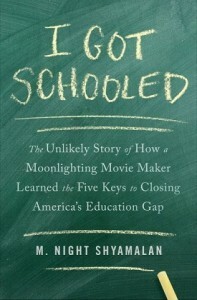 Is this a novelization, a behind the scenes “making of” book, or something else? Please let me know. Thanks!